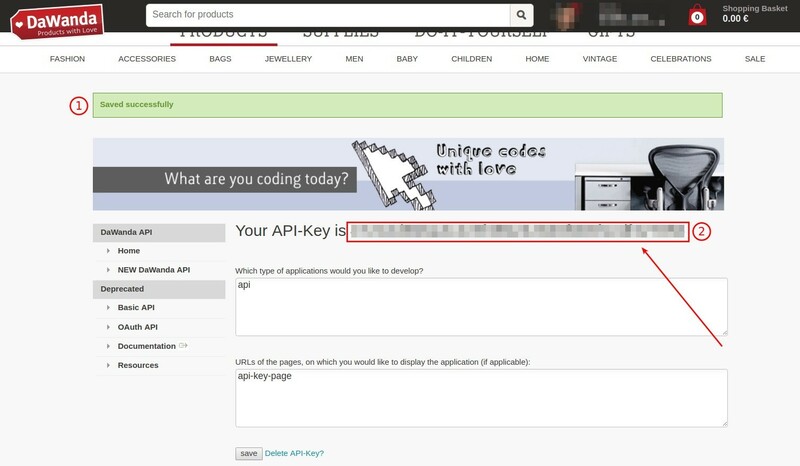 Where Can I Get DaWanda API Key? 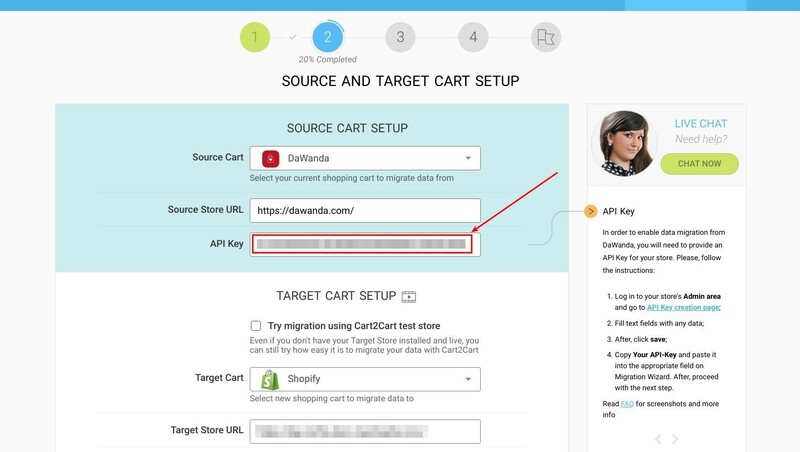 In order to enable the data migration from DaWanda, you will need to provide an API KEY for your store. So, here is a step-by-step tutorial that will help you to get this information by your own. 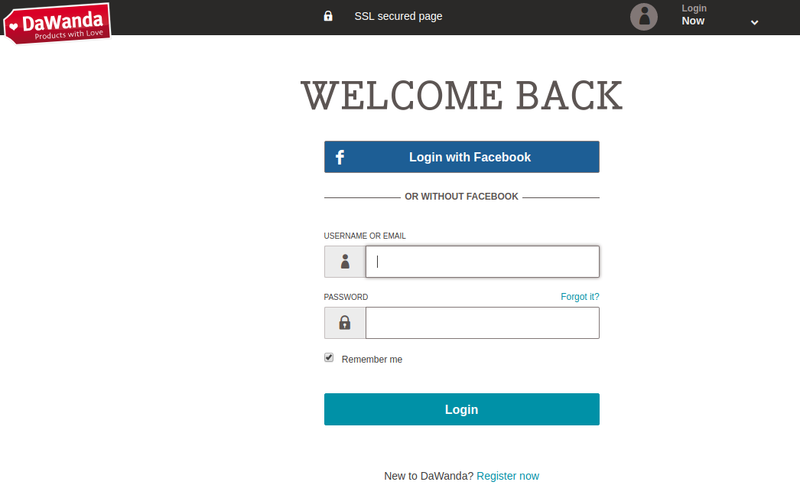 At first, log in to your store's admin area. 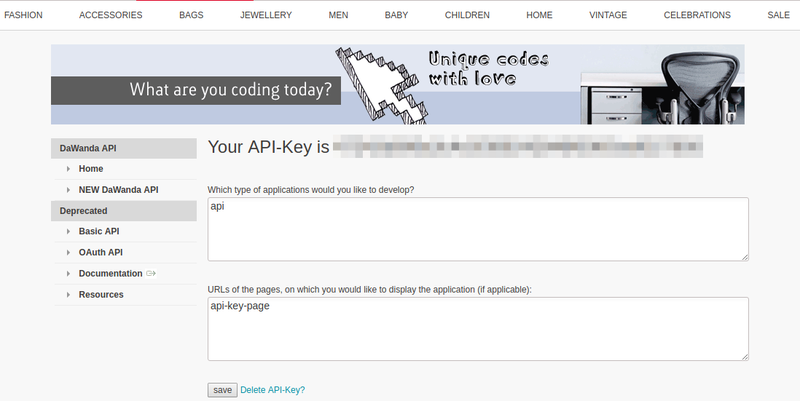 Follow this link http://www.dawanda.com/apps/new to find the necessary information about API Key. Then press the “Save” button. After this, paste it in the appropriate field on Migration Wizard.